Train operators in Britain are struggling to maintain levels of passenger satisfaction as demand continues to outstrip train service capacity. To counter this more than 5,000 new coaches are to be delivered between 2015 and 2020. The most recent bi-annual survey carried out during Spring 2016, by Transport Focus the official organisation sponsored by the UK Government to represent passenger interests, shows overall satisfaction with the journey experience has fallen from 83% to 80%. This is a based on a survey that covers all train operators with a sampling of 30,000 users. There have been some big falls in the overall satisfaction rating given to individual operators. C2C declined from 90% to 81% in response to timetable changes that attracted transfers from London Underground services causing services to be overloaded, with 34% saying there was insufficient room on trains. There was a big reduction in satisfaction levels for some Govia Thameslink Railway (GTR) operations at Southern ratings were down 8% to 69% with a 10% fall to 74% for Great Northern. The restricted service capacity caused by the rebuilding of London Bridge station and traincrew disputes are factors that have caused this. In London and the South East the journey was rated by only 41% as being value for money compared to 59% for long distance operators and 61% for regional operations. On this measure Merseyrail headed the table with 74% of users regarding their journey as value for money. The open access operators Grand Central and Hull Trains were next in the table at 73% and 65%. In an analysis of key drivers Transport Focus found that the biggest impact on satisfaction was punctuality and reliability (38%), cleanliness inside the train (18%), followed by journey length, frequency, comfort of the seating area, and sufficient room. The biggest impact on overall dissatisfaction was how the train company dealt with delays (53%) with punctuality/ reliability (14%) followed by journey length, sufficient room and the ease of joining and alighting to/ from trains. Passenger dissatisfaction about train service capacity and the provision of sufficient seating will be mitigated by the introduction of more than 5,000 coaches between 2015 and 2020. In addition to providing greater capacity outdated rolling stock with low amenity standards such as the 2-axle Pacer units will be replaced. 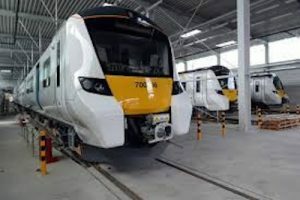 The first of a new fleet of trains operated by GTR entered service in late June with a 12-car Class 700 formation commencing operations between Brighton and London. 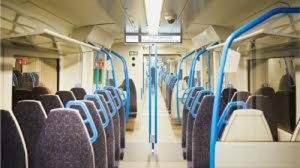 All trains running through the Thameslink central section are to be equipped with this type of rolling stock which will amount to 1140 vehicles. 24 trains per hour will be provided linking Bedford, Luton Airport, Peterborough, and Cambridge with Southern network destinations that include Gatwick Airport and the South Coast. There are few routes that will not benefit from new rolling stock and coupled with a cascade of better quality equipment satisfaction levels can be expected to improve.